Uncertainty can powerfully assist Expert Systems to diagnose problems by ignoring the “If, then..” routine and by following an elimination algorithm. 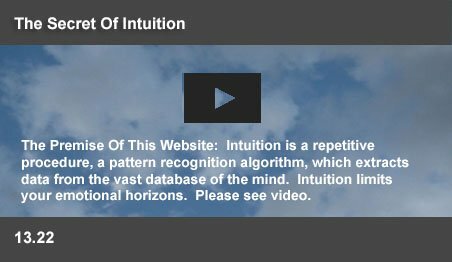 This website suggests that intuition of the human mind follows such a routine. From its early beginnings, the Artificial Intelligence community sought to understand human intelligence by building computer programs, which exhibit intelligent behavior. AI researchers assume rightly that intelligence is essentially a problem solving ability. But, they make the mistake of assuming that such problems have clear logical, or mathematical solutions. Unfortunately for them, problems in the real world do not present clear cut answers. The diagnosis of a disease does not follow simple logical paths; nor can it be calculated. If a patient has a group of symptoms, then she has a particular disease. But many of these symptoms are shared by other diseases. Occasionally, some of these symptoms may also be absent for the disease. The real world presents the problem of uncertainty. In an application of artificial intelligence, Expert Systems manage goal oriented problem solving tasks by using the logic in the minds of experts in these fields. One method is to search the knowledge base through "If, then..." rules. But such searches paths increase exponentially, as the size of the knowledge base increases. But, quick solutions are feasible, if the logic is used to eliminate unsuitable data from the entire knowledge base. Using "fuzzy" logic concepts lead to unsatisfactory solutions. The advantage of using elimination is that "uncertain" elements can be left in the knowledge base to be subsequently eliminated through "certain" considerations. The elimination logic has proved to be effective in diagnostics. The AI community was faced with the problem of ambiguity. In many fields, knowledge was found to be vague. Only the specialist knew when a particular symptom was applicable. There were experts in each field, with extensive prior knowledge. The AI objective was to transfer the logic of the decisions in the minds of experts into diagnostic programs. Expert Systems were expected to yield intelligent answers to the problems in the world. Expert Systems managed goal oriented problem solving tasks including diagnosis, planning, scheduling, configuration and design. In every case, the AI community avoided the blurred boundaries of problems. Expert Systems operated on certainties. One method of knowledge representation was through “If, then...” rules. When the “If” part of a rule was satisfied, then the “Then” part of the rule was concluded. If a particular symptom was present, then a specific disease could be selected. But knowledge was sometimes factual and at other times, vague. Factual knowledge had clear cause to effect relationships, where conclusions could be drawn from concrete rules. Pain was one symptom of a disease. If the disease always exhibited pain, then pain pointed to the disease. But vague and judgmental knowledge presented a problem, when pain was present only occasionally. Such ambiguity was useless information for rule based Expert Systems. Many diseases also shared many symptoms. So, Expert Systems conducted back and forth searches, till they located a particular disease, which presented all the symptoms. The back and forth searches of the Expert Systems faced problems with large databases. In theory, the search process took twice the time for each newly added symptom. If a search for a single symptom takes 1 second, 2 symptoms require 2 seconds and 12 symptoms will take more than 4 HOURS! Any doctor can evaluate thousands of symptoms within milliseconds. But this problem can be solved if the whole database is evaluated on an elimination basis. Any diseases, which are clearly unrelated to the presence, or absence of particular symptoms are eliminated from the database. If a symptom is present, all diseases, which positively do not present the symptom are eliminated. If a symptom is absent, all diseases, which positively present the symptom are eliminated. This process can swiftly evaluate any reasonable database and effectively handle uncertainty. The AI community tried to solve the ambiguity problem by suggesting a statistical, or heuristic analysis of uncertainty. The possibilities were represented by real numbers or by sets of real-valued vectors. The vectors were evaluated by means of different “fuzzy” concepts. The components of the measurements were listed, giving the basis of the numerical values. Variations were combined, using methods for computing combination of variances. The combined uncertainty and its components were expressed in the form of “standard deviations.” Uncertainty was given a mathematical expression, which was hardly useful in the diagnosis of a disease. Instead of delivering a mathematical formula as diagnosis, ambiguity can become powerfully useful information for other members of the database. Pain may be only occasionally present for some diseases, but will be certain for some and completely absent for many others. The search process eliminates the "certain" diseases. Only an elimination routine can take advantage of uncertainty. The human mind does not compute mathematical relationships to solve problems. 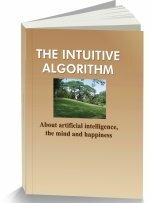 The mind knows that a particular symptom points to a possibility, because it uses intuition, a process of elimination, to instantly identify patterns. Vague information is powerfully useful to an elimination process, since it eliminates myriad other possibilities. If the patient lacks pain, all diseases, which always exhibit pain, are eliminated. Diseases, which sometimes exhibit pain are retained. Further symptoms help identification from a greatly reduced database. The final choice is easier from a smaller group. Uncertainty can be powerfully useful for an elimination process. Walter Freeman, the famous neurobiologist outlined the process: “The cognitive guys think it's just impossible to keep throwing everything you've got into the computation every time. But, that is exactly what the brain does. Consciousness is about bringing your entire history to bear on your next step, your next breath, your next moment.” An elimination algorithm can evaluate the whole database, eliminating every context which does not fit. This algorithm has been proved. It has powered Expert Systems which speedily recognize a disease, identify a case law or diagnose the problems of a complex machine. These systems are swift, holistic, and logical. If several parallel answers are presented, as in the multiple parameters of a power plant, recognition can even be instant. For the mind, where millions of parameters are simultaneously presented, real time pattern recognition is practical. And elimination is the key, which can conclusively handle uncertainty, without delivering a perplexing statistical calculations as the diagnosis.